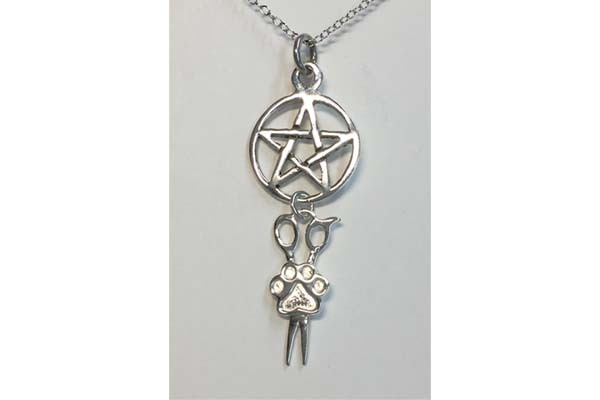 This Pentacle w/dangling Puppy Paw® Scissor Pendant looks beautiful w/either a sterling silver or 14k gold paw. It can easily be made into a Mother's Paw® that can hold 7 birthstone crystals! Sterling Pentacle w/dangling Puppy Paw® Scissor Pendant comes w/an 18" sterling silver chain pendant & takes about 1 week for delivery. Image size is increased to show detail.